A while ago I decided that I'd wait until near the end of the year and seriously consider opening up my Nexus 5X. First, to replace the nearly year old battery and second to modify it for wireless charging. I completed that work today. 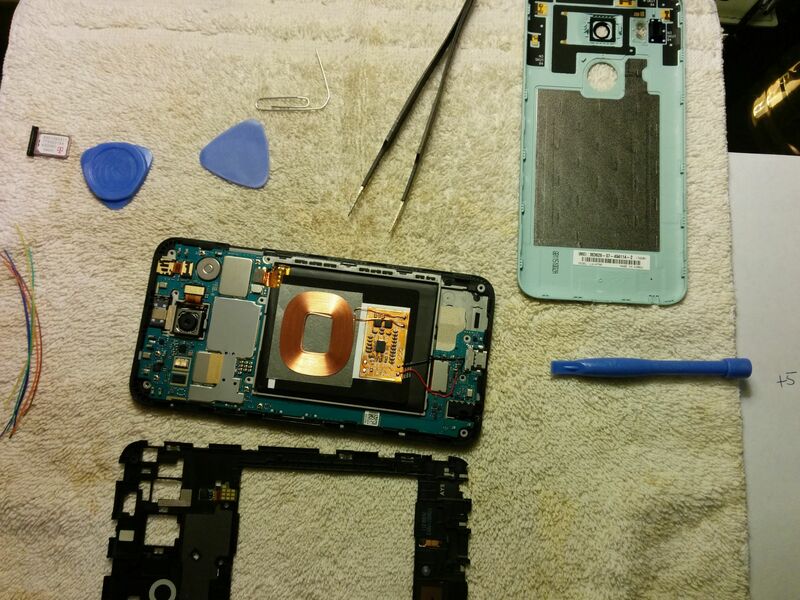 This first picture shows the phone opened up. 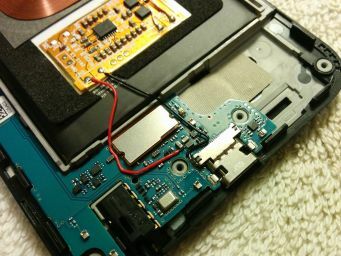 The iFixit guide for battery replacement was very useful. With the right tools, as pictured (except the #000 phillips driver), it was quite straightforward to get inside. It's worth noting that the metallic sticker, still in place as pictured, on the inside of the back cover must be removed, so the electric field can get inside to the coil! Here's a close up image of the completed modification. I used the +5V point on a capacitor as pointed out on YouTube, but for ground just used the nice big USB-C connector shield, which I verified was also grounded. Some thin gauge wire-wrapping wire is small enough to not get in the way of anything. Since the wires are only around an inch long, I'm not concerned about the resistance of thin wires. And here's the result. It works!